I recently held a brayer class where we made this card. Can you tell where the brayer was used? 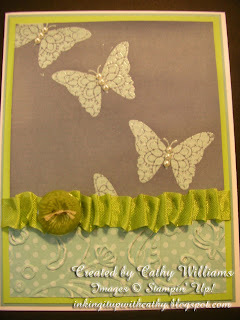 I started with a piece of Pool Party Patterns Pack DSP and embossed the butterflies with clear embossing powder on the patter that has the small words. I then used Wisteria Wonder ink on the brayer and covered the DSP, virtually making the pattern disappear except on the butterflies. After brayering, I used a tissue to remove the excess ink from the embossed area. I then ran another small piece of the opposite side of the DSP through the Elegant Lines embossing folder for the bottom of the card. 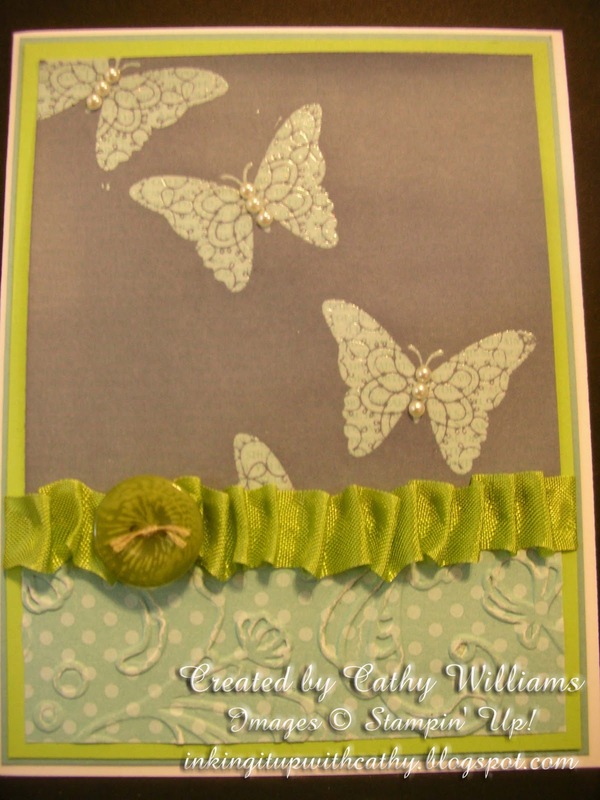 A crinkled ribbon, a button and a few pearls completed this card.